When he stands on his hind legs and twirls around he looks like a ballerina with a white tutu. Soooo funny. I’ll have to try and get a picture of that. I may have to invest in a down jacket for this little guy, because the sweater wasn’t enough when it got down to zero. Rocky would just stop in his tracks, unwilling to move another inch. I had to carry him home inside my jacket more than once. I guess growing up in Southern Cal made him soft like me. 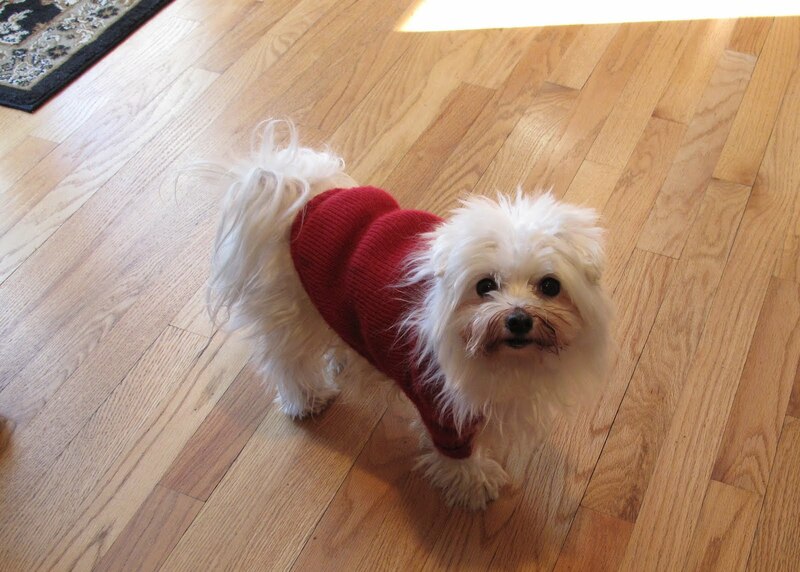 This entry was posted in dogs, Maltese, winter and tagged dog sweater. Bookmark the permalink.